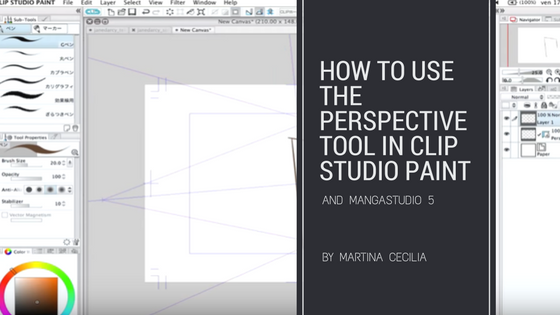 This is a video tutorial about the perspective tool of Clip Studio Paint that I made a while back when the software first came out. The tutorial is still very valid for those who need to understand where everything and what this great tool can do for you. The Clip studio paint perspective tool really is an amazing thing but remember that tools are there to help you: not to teach you. You need to at least know how to draw a perspective to use this tool in an effective way. Do not rely on tools to draw, because as soon as the tools are no longer valid you’ll have to start learning from zero. Focus on learning the basics of drawing and you’ll bring that knowledge with you forever.